Photos courtesy of DisneyParks Blog. Today DisneyParks Blog announced a new trading card game coming in August based on the interactive Sorcerers of the Magic Kingdom attraction. 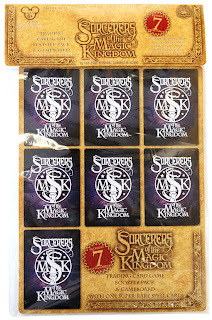 The Magic Kingdom attraction features battles with Disney villains throughout the park, utilizing a randomly distributed pack of spell cards as weapons. These cards already featured extra information, such as power numbers and card types, that some speculated had greater importance than the basic game described. 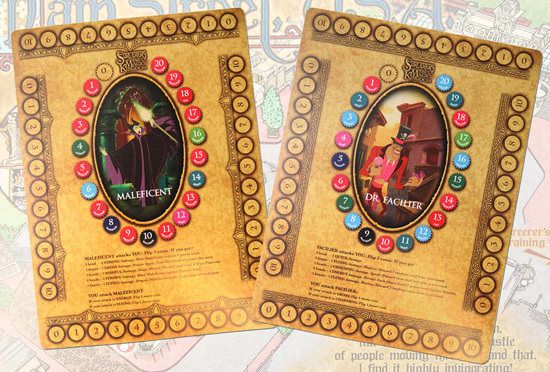 As described, the trading card game will be a team effort to defeat one of several Disney villains, featured on a game board. In many ways, this sounds similar to the World of Warcraft Trading Card Game's Raid Decks, which similarly features cooperative rather than competitive play to defeat a challenge. 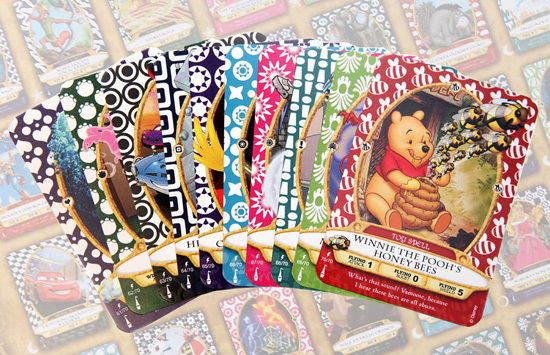 More exciting to fanatics of the in-park game is that a group of rare cards temporarily discontinued will once again be available through the trading card game. 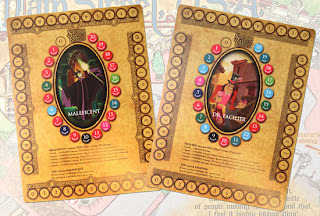 This is definitely an intriguing product, and if the gameplay is well developed could prove to be a fun, family game and decent souvenir in one. Along with the awesome board game just released at Hong Kong Disneyland, Disney Parks seem to be finally creating some unique products that are much more engaging than another t-shirt or plush animal. I'm also glad to see that this will be a park and online exclusive item, though I wouldn't be surprised to see a wider release if the popularity proves great enough.